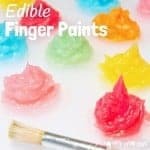 Looking for homemade edible paints the kids will love? 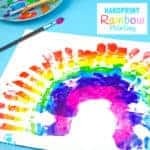 This Taste Safe Runts Watercolor Paint Recipe is sure to be a massive hit! We all know Runts Candy is already super fun anyway don’t we? I mean who can resist those adorable little fruit shapes and flavours? Well now it’s about to take fun to a whole new level! 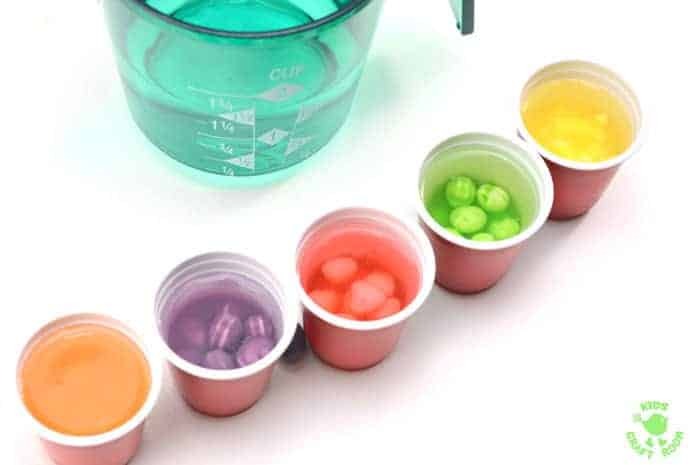 Imagine how much the kids will enjoy using Runts to make their own watercolor paints? Imagine the fruity smell! 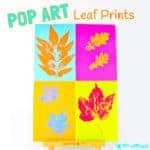 Imagine the vibrant colors! 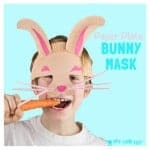 And to top it off it’s safe to eat too so you don’t have to worry if little ones sneak a lick or two! 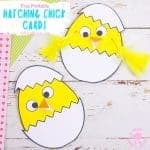 This Runts Watercolour Paint Recipe is so much fun and we’ve got a Free Printable Apple Coloring Sheet too. 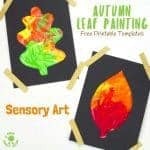 What a great way to enjoy some sensory art. 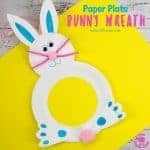 We love homemade paint recipes because it’s always great to get creative in new ways! 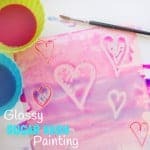 Runts Watercolor Paints are so fruity and fun and super easy to make. 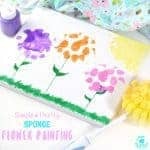 Before we get started you might want to take a peek at some of our other favourite paint recipes too. 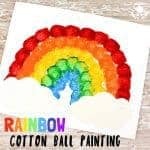 Just click on the photos to go to the tutorials and scroll on down for your Runts Paint Recipe and to download your free apple colouring sheet. 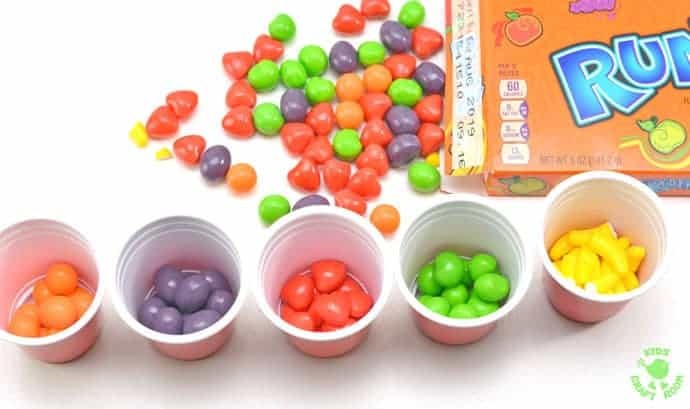 1 – Separate the Runts candy into the different colors and put about 8 of each colour into a plastic shot glass. 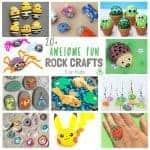 This is a great opportunity for kids to color sort and count. 2 – Fill each cup about ⅔ of the way with warm water. Using small shot glasses keeps your paints more concentrated. 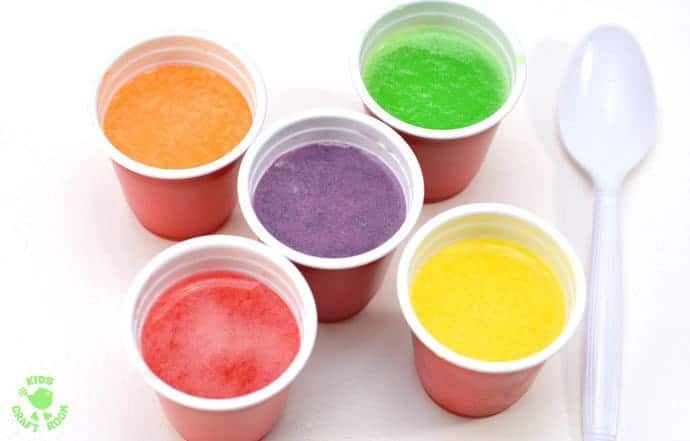 The more candies you use, the deeper your colors will be and the more water you add the more dilute the colors will be. 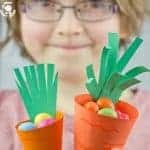 It can be fun for kids to experiment with different mixes. 3 – Let the Runts sit for a minute or two and then give them a stir. The colors will come off the outside of the candies quickly. When they are colourless remove the Runts with a spoon. 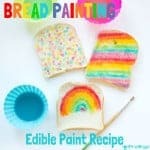 This is to stop the paint getting gritty when the candies dissolve. 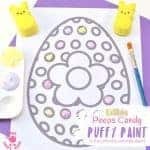 4 – You can use the Runts Paint like you would any watercolors. 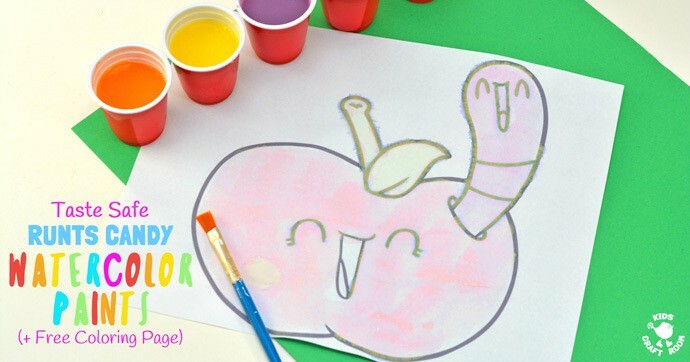 And why not print out our free Apple Coloring Sheet for some fruity themed fun? Grab yours below. Click Here To Get The Printable Apple Colouring Sheet, Free As A Thank You To Our Subscribers. 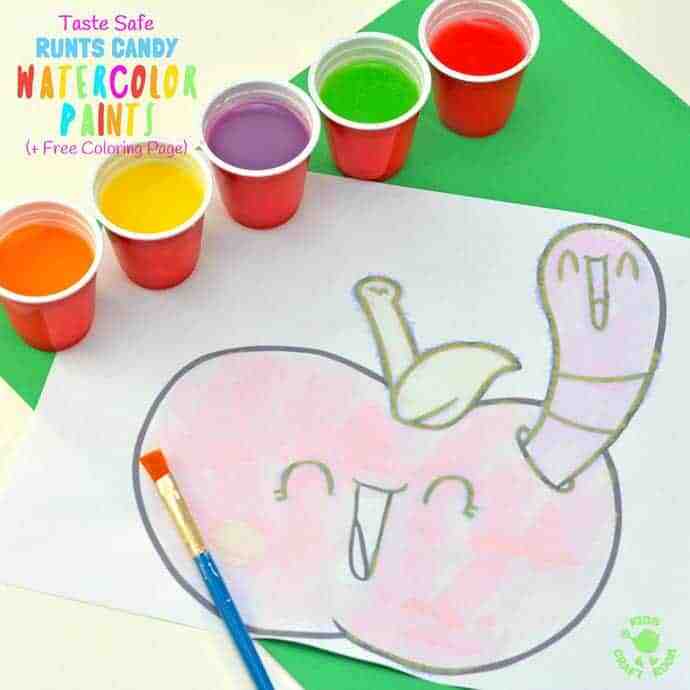 We hope you have as much fun making this taste safe Runts Watercolor Paint Recipe as we did. 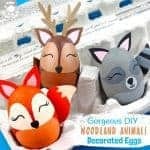 Come and chat with us on Facebook, Pinterest , Instagram or YouTube or subscribe to our email updates.